Welcome to the third installment in the First Person Shooters saga. Today, we will talk about two more solid choices for meeting people online - and then shooting them. Now, let's review our candidates for today: Alien Arena 2008 and Warsow. Alien Arena is similar to OpenArena and Nexuiz in blending futuristic, high-tech weapons with alien-like characters. Compared to the other titles, Alien Arena has a more somber look and better graphics, resulting in more polished, professional looks and a definite edge to the projected atmosphere. On the other hand, the closed and richly detailed map layouts combined with the dark setting can be (too) oppressive sometimes. All in all, the game is well paced, with a broad array of maps, weapons and games types. Both the single and multiplayer modes exist, allowing players to practice before heading online. 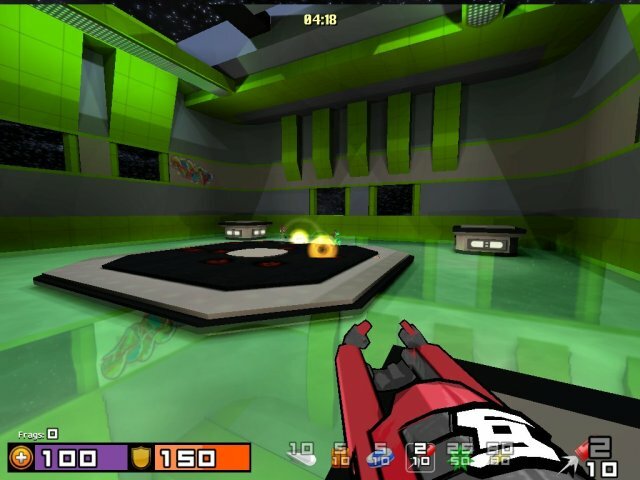 Warsow is an unusual First Person Shooter game. Although it has many elements that most titles have, it also stand apart with several unique features. The game has a distinctive ultra-modernistic, punk look, with clear visual styles and cartoon looks. One of the strong emphases of the game is visual clarity, the end result being simple and clean lines, a complete contrast of what most games aim at. 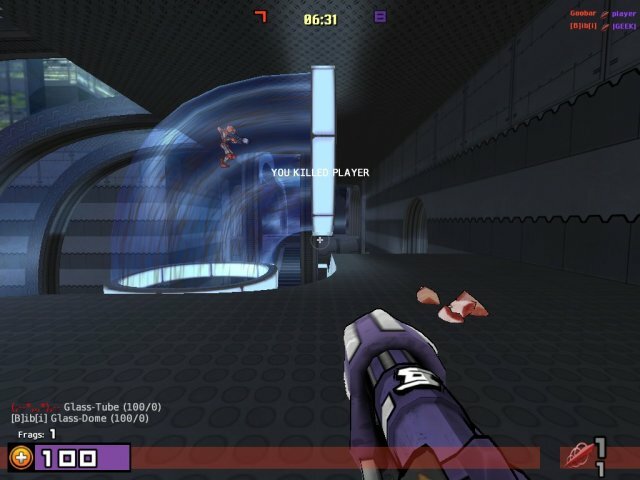 This may confuse you into thinking the game (and the gameplay) is somehow childish or simplistic, but beware: Warsow is a quick and serious FPS. 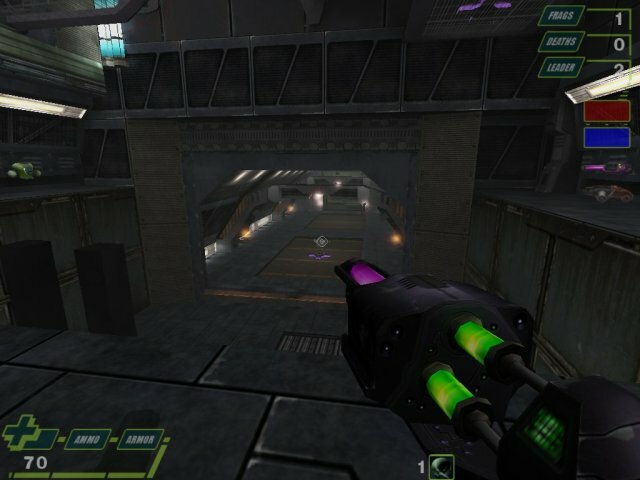 Apart from the visual elements, it shares many components with other Quake-based games, including rapid gameplay and super-human physics, including double jumping and sliding. In this regard, it is most similar to Urban Terror. Warsow plays as well as any other counterpart. Once you get used to the bright and sparkly color scheme, you'll appreciate the action. Linux First Person Shooters are aplenty. If you prefer classic action against humans played on bright, open maps, Urban Terror is your choice. If you're moody, go for Alien Arena. Small machines will love AssaultCube. Artists will appreciate Warsow. To focus on our two candidates, both Alien Arena 2008 and Warsow can deliver. They aim at different crowds, which is good. Alien Arena is probably more suitable for classic gamers. Warsow seems to be oriented toward a younger community. Best of all, there's nothing barring you from playing both. The choice of FPS games for Linux and the quality thereof are getting bigger and better by day. Uber-hard-core gamers may only want to play 20GB monsters that require a pair of SLI-ed Nvidia 8800GTX cards just to limp on lowest settings, but if you're a reasonable player and looking for some innocent, varied fun shooting all sorts of guns, you have a broad range of solid, refined and free games to choose from. That's about it. Now, go have some fun.